Yol Swan is a spiritual counselor and coach who has taken the understanding of the soul and the wounded Feminine to new cosmic depths. A modern seer who perceives life as energy, and often feeling like 'a stranger in a strange land,' Yol was drawn to psychoanalysis in her early 20s, which became a springboard into the spiritual exploration of Consciousness during a 3-year retreat in almost complete isolation. She was initiated as a Buddhist nun by a liberated monk from Thailand and later into a path of meditation and mantra under the personal guidance of enlightened Hindu teachers. With a solid spiritual foundation, she now empowers clients around the world to live a soul-guided life. Her book The Indigo Journals, a 2016 Readers' Favorite Book Awards Finalist, is a must-read for sensitive, creative and empathetic people awakening to their true nature. To learn more about her visit: <a href="http://SoulGuidedCoach.com" target="_blank">SoulGuidedCoach.com</a> or <a href="http://YolSwan.com" target="_blank">YolSwan.com</a>. 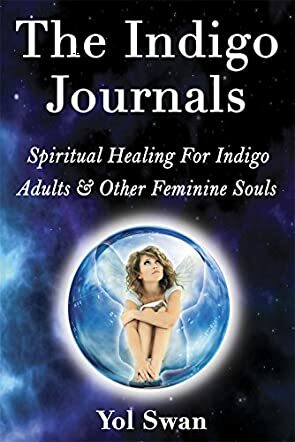 The Indigo Journals: Spiritual Healing For Indigo Adults & Other Feminine Souls by Yol Swan is laid out as a guide for those people who are sensible, emphatic and creative. It can be hard for those people who are different and often they feel disconnected from the world because it doesn't make sense. The book sets out to help readers awaken their true nature and to break away from codependency; it will also help you to use the natural gifts you have been given and find your true purpose in life. Whether you are an Indigo or not, everyone and especially every woman needs to take a look at this book. Yol starts the teachings of this book with personal information about what has happened in her life and how she came to be where she is now before diving into the tools that everyone needs in order to understand themselves better. I truly feel this book is a revelation to those who need to understand the feminine soul. The detail and way that everything is explained is refreshing and eye opening. Not only that, but it is put in such a way that even those who are not very spiritual can at least have a basic understanding. I have a few people in my life who may benefit from reading this book so they can understand me a little better. This has been better put than anything I could ever say on the topic. I recommend this read highly. The Indigo Journals: Spiritual Healing for Indigo Adults & Other Feminine Souls by Yol Swan is an uplifting book of personal journey to self-discovery and healing from that of being a super-sensitive, awkward and flawed human being to that of independence and intuitive wisdom. The author’s experiences led her to dive deeper into herself and will motivate readers to do the same. The gradual empowerment, along with putting together the missing pieces of life's puzzle, awakens readers to discover their true purpose in life and also helps to balance the Masculine and the Feminine with ease. The greats insights and tools offered to transform one’s life help one understand their cosmic nature and discover their true power. The book is personal and the author explains and describes in detail about the ‘feminine soul.’ The author’s words give clarity and support one’s spiritual journey as a receptive and creative soul. The book discusses Indigo soul types and the author also unravels the patterns of co-dependency and disempowerment shared by feminine souls for many years. The main features of feminine and indigo souls given in the book are helpful in recognizing and accepting oneself. As the book progresses, readers are taught how to unleash their inner power through awareness, self-discipline, and intuitive wisdom to live a life guided by the soul. The author handles a complex topic with great clarity and simplicity, making it easy for readers to understand. The fact that once one uncovers and aligns with their soul’s path everything flows with more grace is indeed very uplifting and inspirational. Indigos are known to posses special traits that transcend age, gender or race. There is an increasing amount of literature about Indigo children but it is hard to find the same on Indigo adults. In her book titled The Indigo Journals: Spiritual Healing For Indigo Adults & Other Feminine Souls, Yol Swan attempts to fill this void by shedding some much needed light on who Indigo adults are, and what life is like for Indigos in this realm where they are greatly misunderstood. An Indigo adult herself, Yol Swan uses her personal journey and the hurdles she has had to overcome to help other struggling Indigos find their right footing and purpose. She also puts into clear perspective the concepts of feminine versus masculine souls and Indigo souls versus other feminine souls. Her journey is one of personal struggle, spiritual growth, enlightenment and healing. The Indigo Journals: Spiritual Healing For Indigo Adults & Other Feminine Souls by Yol Swan is a deeply compelling and insightful read. Through her excellent writing, Yol Swan made this rather complex topic easier to grasp. For all Indigos who are forever struggling to fit in, you are not alone; most importantly, just because the rest of the world does not feel or see things the way you do does not mean that there is something wrong with you. What you have instead is a divine gift and once you understand, accept, and learn to manage it, you will be at peace with yourself and with the world. The Indigo Journals is a truly honorable work dedicated to aiding other Indigos along their own journeys to enlightenment and healing. Although it is mainly about Indigos, the book is a must-read for all feminine souls that are still in distress and for others who are simply seeking to understand them.